Do You Know About Lead Poisoning? Lead poisoning is a serious and severe health issue. Children under six are the most vulnerable to lead poisoning, which can lead to major problems, including mental and physical developmental issues, and even fatality at high levels. The most common form of lead poisoning is from lead-based paint and lead-contaminated dust (from paint) in older buildings. You may also find lead in water from old pipes, soil, tiles and pottery, toys, and even contaminated air. People exposed to home renovations and batteries (long-term exposure), and adults who work in auto-repair shops have a much higher chance of being exposed to lead. Treatment is available for lead poisoning, but taking some simple precautions will help you and your children be aware and stay safe. Babies exposed to lead in utero may experience learning difficulties and slowed growth. If you are pregnant and suspect lead present in your home, contact your landlord or a licensed lead abatement specialist to test your property. If you live in a house that was built before 1980, you should be checking for lead in your home. Any chipped paint, or even dust from old, deteriorating paint can cause high levels of lead poisoning. Windows. Many people don’t realize that our windowsills and window frames can be the culprit of high levels of lead. Walls and ceilings. If your home is older, and you know there are many layers of paint on your walls and ceilings, you may be breathing in lead paint particles. Another common problem for young children can be paint chips and deteriorating paint that is ingested when a child is playing, crawling, or touching contaminated objects or the paint itself. Tubs. Claw-foot tubs and older tubs are an often forgotten site to check when looking for lead in the home. Many tubs have been made with high levels of lead. If you have any wear from an older tub, check it immediately for contamination. Drinking water. How old are your pipes? Do you know what they are made from? If you aren’t sure but suspect you may need to check your drinking water, use an in-home lead testing kit, or hire a professional to come and survey the pipes in your home. 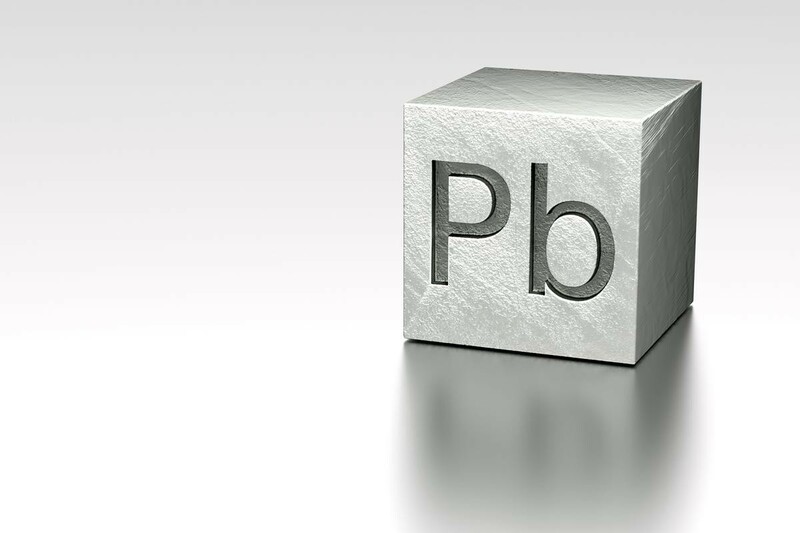 Be aware that in-home tests may not pick up low levels of lead. Contaminated soil. The soil around your property can be contaminated with lead. If you and your children are outside in the yard a lot, don’t know when the soil was last changed, and plan to do yard work, start a home garden, or do any home-improvement outside, get your soil checked. Oil from old, leaky oil tanks and many other gasoline and industrial contaminants may have leached into the soil in your yard. Ingesting particles of soil and even eating large amounts of greens from a polluted garden can present signs of lead poisoning. Toys. Sadly, the use of lead in plastics has not been banned in some countries outside the United States. It may also be found in toys made before 1978 in the United States. Lead often is used as a softener, making the material more flexible, and it’s used to stabilize molecules from heat. When the plastic is exposed to natural elements and detergents, it can break down and form dust. If you think you may have toys in your home that contain lead, only a certified laboratory can accurately test them. The do-it-yourself kits you will find at the hardware store may be able to detect some lead content, but they won’t be able to show how much lead is present. This brings up another two important areas in the house: your kitchen and bathroom tiles. If you have ceramic-glazed tiles in your home dating before 1980, you should be checking for lead content. The ceramic glazes that were used in the tiles before 1978 contain high levels of lead. If you plan to do any renovation in your bathroom or kitchen, hire a professional to come and test the area before you do any removal and spread lead dust throughout your home. If you or a loved one needs more information about lead poisoning, testing, or abatement, please go to the U.S. Environmental Protection Agency’s website for more information. If you think you or your child has been exposed to lead, head to your primary-care physician for testing.